Hello. Suggestion Name: Scania Rear Lights Why should it be added? : Players that have DLC Mighty Griffin Tuning Pack if change Rear Scania Lights other Players so can't see Rear Lights and this is bad in night... Suggestion Description: please do a work that other players haven't this DLC can see Lights. Any example images: _ i can send Image if need. Best Regards. Friends, Why You Are Not Active In World Of Trucks? Your High Speed? and high speedy truck company? Hi bro!! Long time no see, how are you? Have a nice time. Best Regards. This limitation made just for some players like you... This is a simulator game.. Drivers should drive normal and safe like real world. Update TruckersMP And Play Without Speed Limition Now!! 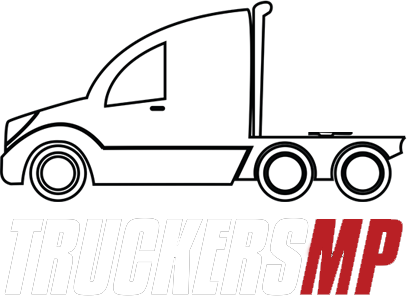 Hey friends, TruckersMP updated, speed limition removed.